I don't get overwhelmed by accommodation too often. Okay that was a lie. I do get excited over nice accommodation that is clean, classy and contemporary. As I stepped foot into this place we rented for 4 nights, I gagged, breath stopped for 2 seconds, eyes enlarged and then cheered with excitement. The unit we rented was a 2 level 2 bedroom apartment with a shared kitchen and living room area as it was meant to accommodate 4-6 person. Both rooms came with a king sized bed. 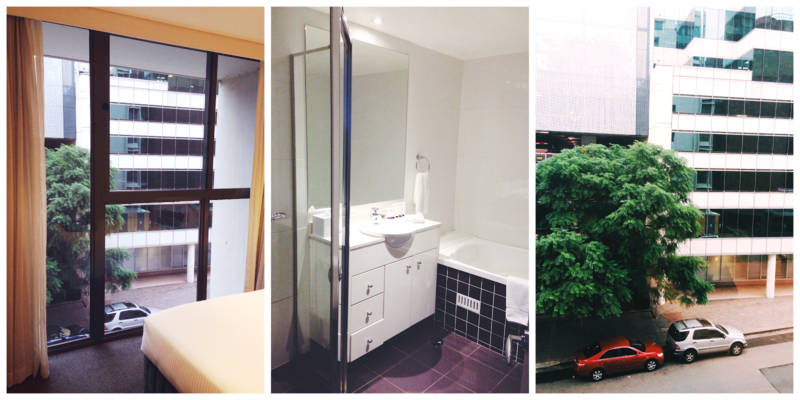 The room I spent my days in was spacious enough for me, came with a huge wardrobe, a mirror, ceiling-to-floor window and a Sydney street view which was my absolute favourite. The one thing I was excited about every morning was to open the curtains and let the ray of gleaming sunshine in whilst stretching my arms. 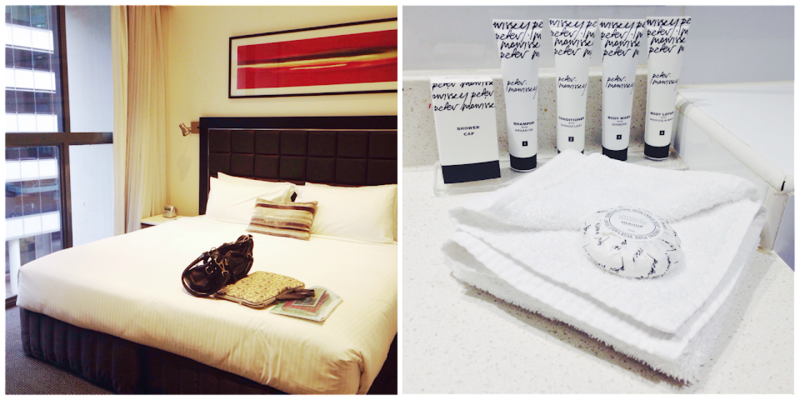 Meriton Serviced Apartment is nicely located at the edge of Parramatta just right next to the "River Cat" jetty. 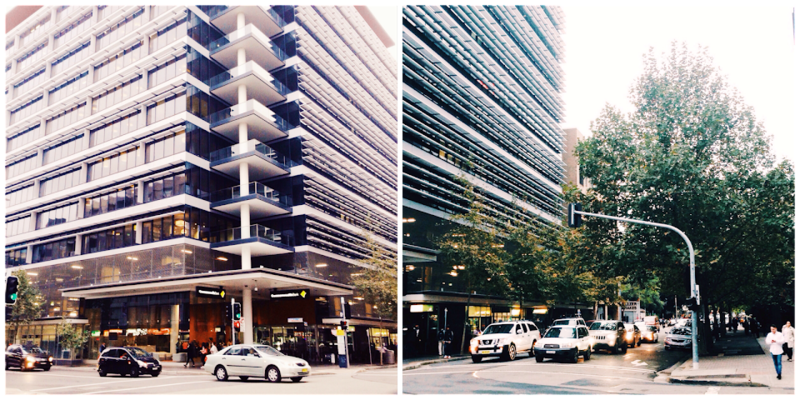 Westfield Parramatta, Parramatta City Council and Parramatta train station are just a 5-10 mins walk away. If you fancy making a trip to Sydney CBD during the weekends, you could opt for the conventional train or hop onto the "River Cat" for a fun experience. 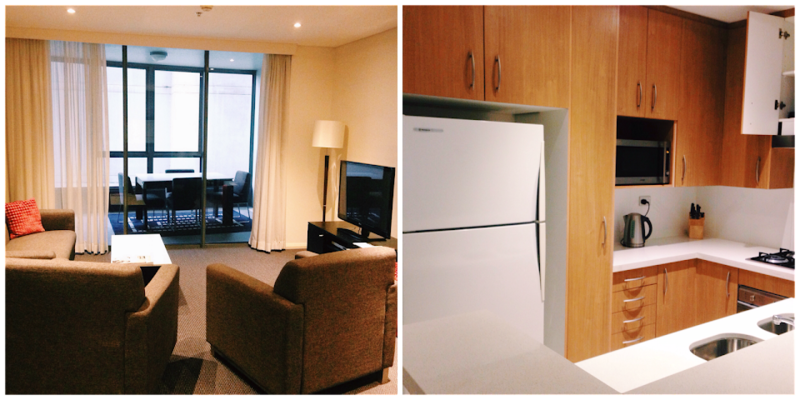 Meriton Serviced Apartment felt like home to me. Kitchen was fully equipped with all sort of kitchen appliances that you could think of. Coffee, tea and chilled full-cream milk were even provided. Need I mentioned there were 6 wine glasses, 6 champagne glasses, a 4-sliced bread toaster, dishwasher, cooking gadgets and even baking utensils. Yes, I was amazed. If you are like me where staying in the hustle & bustle of a city is too overwhelming for a relaxed holiday, try spending the day exploring the city at your fullest then take a train back to the suburb. The train ticket costs $7/ride anyways, it is definitely worth travelling because you get to experience contrasting lifestyle of the natives. I do recommend staying at Meriton Serviced Apartment if you are planning to visit Sydney with your family or a group of friends.